Is God finished with Israel? Is He done with the Jewish people as a people? Heaven forbid. All of Scripture and history shouts a loud “No” to this question. Notice carefully those words, all in the present tense in Greek: the divine promises still belong to Israel. And one of those promises is that, whatever Israel does as a nation, even falling under divine discipline, God will preserve them as a nation. What about the fact that the vast majority of Jews do not believe in Jesus? What about the fact that some militantly oppose faith in Jesus? That is tragic, and that is why Paul mourned in Romans 9:1-3. Jews without Jesus are lost, just as Gentiles without Jesus are lost (see Romans 2:6-11). Yet, despite my people’s rejection of our Messiah, we remain loved and chosen by God. As Paul stated so clearly, “As regards the gospel, they are enemies for your sake. But as regards election, they are beloved for the sake of their forefathers. For the gifts and the calling of God are irrevocable” (Romans 11:28-29). Some would argue that when Paul said “Israel” in these verses, he meant only the believing remnant, the Israel within Israel, Jews who believe in Jesus (see Romans 9:6-8). But to argue for this is to do violence to the Word of God. First, after making this point about the Israel within Israel (the believing remnant) in Romans 9:6, Paul used the word “Israel” 10 more times, culminating in Romans 11:26. In every case, he meant the nation as a whole, not just the believing remnant. The idea that a New Testament writer could reverse all these promises with a single stroke of his pen — as some claim Paul or others did — is to deny the inspiration and authority of the Old Testament. Second, as New Testament scholar F. F. Bruce pointed out in his commentary to Romans 11:26, “It is impossible to entertain an exegesis which takes ‘Israel’ here in a different sense from ‘Israel’ in v 25 (‘blindness in part is happened to Israel’).” In other words, the Israel that has been temporarily blinded is the Israel that will be saved. That’s why Jesus spoke about the time of future “regeneration,” with the twelve tribes of Israel playing a central role (Matthew 19:28). That’s why Peter spoke about the time of the restoration of all things, in accordance with the words of the Old Testament prophets (see Acts 3:19-21). And what did those prophets speak about? They spoke of the time when the Messiah would reign from Jerusalem, when Israel would be exalted, and when the nations would stream to Jerusalem to learn from Israel’s God (see, for example, Isaiah 2:1-4). The idea that a New Testament writer could reverse all these promises with a single stroke of his pen — as some claim Paul or others did — is to deny the inspiration and authority of the Old Testament. After all, Jesus the Messiah came to fulfill the Hebrew Scriptures, not abolish them (see Matthew 5:17-20). He came to confirm the promises to the patriarchs, not cancel them (see Romans 15:8-9). And, as Paul also wrote, the Sinai covenant, which came 430 years after the promises to Abraham, cannot annual those promises (Galatians 3:17-18; this includes the promises to the Land of Israel; see also Psalm 105:7-11). That alone explains the history of the Jewish people. Without a homeland for many centuries, scattered around the earth, yet preserved through generations of unspeakable suffering, only to be regathered to our ancient homeland. Nothing even remotely close to this has happened to any other people. It is only because of the Lord! And so, both history and Scripture demolish the idea that God is finished with Israel. Not a chance! Third to last paragraph uses the word “annual” when it likely means “annul”. Good stuff! What a title — a resounding NO WAY, NO HOW is the answer. It is written ! so much. Context, context, context. The day spoken of is long past. In the day this was written, the veil was upon their heart. Acts 3:23 says it all. The unbelieving Jews were cut off from among the people. Period. Yes, God is finished with the nation of Israel as of 70AD. That was the end of the age of the nation of Israel. Can Jews today trace their genealogy back to Jacob? I’m always curious what Bible you are reading, the Samaritan one? One you just made up yourself? What? Probably the one where Jesus said the Jews were cutoff from covenant relationship with God (Matt 21:43) which same Bible also has Jesus prophesying the judgment of God that was to come upon the Jews, which it did in 70 AD resulting in the destruction of the temple in Jerusalem, the death of 1.1 million Jews, putting an end to the nation of Israel & its religion. Except that God promised them that He would return them to their land, bringing them back from the nations of the world to Israel. Judgment is always geared toward restoration. God has a plan and it will happen in His timing. There is no NT land promise to Israel nor of a return to the land. The end of the Old Covenant meant the end of all the promises under that covenant (Hebrews 8:13). I never cited Hebrews 8:4. Romans 11:28 has nothing to do with a land promise. NOWHERE in that context is the land of Israel ever mentioned. Romans 15:8 establishes what the promises to the patriarchs were. The promises made unto the fathers/patriarchs were of the Messiah. Did God fulfill those promises? Yes, Jesus came to the Jews as their Messiah. But the Jews rejected Jesus as Messiah and killed him, their covenant then came to an end and with it any promises connected to that covenant. Also the word “church” is not even a biblical word. It came centuries later. Jesus didn’t come to start “the church” The early book of Acts were Jewish believers who still lived in Judaism, went to local synagogues, who were still Torah observant in most areas and were called the way and the sect of the Nazarenes. They weren’t even called christians until Antioch and even scholars generally agree it was a derogatory term given by pagans. Paul never called himself a christian. He always called himself a Jew. Nearly every NT writers were Jews who would never had that concept that all the promise about the land were somehow now spiritual or nullified. Acts 2:6 makes that clear. 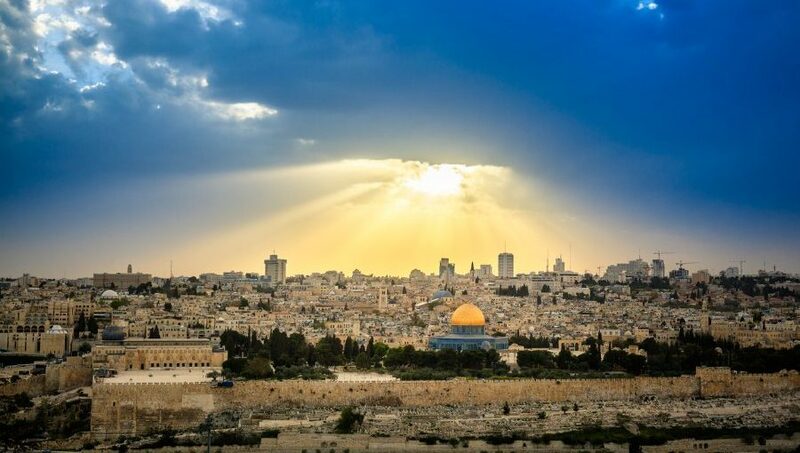 If Jesus wanted to squash that notion about future promises to Israel he would have done it here but he doesn’t.The Kingdom will be restored to Israel which means nation of Israel which are set by the father. Let’s start by clarifying that you still have yet to cite a SINGLE NT scripture that substantiates a land promise of Israel to the Jews. That is first and foremost why Christian Zionism is a doctrine of demons, because it has no NT support. Now let’s deal with the rest of what you said. With regard to Matthew 21:43 it is clear Jesus is saying the Jews would be cutoff from covenant relationship with God. Therefore say I unto you, The kingdom of God (covenant relationship) shall be taken from you, and given to a nation (the NT church) bringing forth the fruits thereof. As far as your argument regarding context, its abundantly clear the husbandmen who killed the prophets and Christ and then rejected Christ are the Jews (Matt 21:36-39, 42). Because of their rejection of him, they were cutoff as God’s covenant people. “children of God” – Those in Christ by faith (“children of promise”). The Jews are “not the children of God”. Romans 9:6 speaks of two Israels, one is the true Israel, the NT church (Galatians 6:16), the other is natural Israel, or the Jews, who are “not the children of God” (1 Thess 2:14-16). Jews have no covenant with God (Heb 8:13, Rom 5:20, Gal 3:19) and are thus “not the children of God”. The NT church has a covenant with God and constitutes the “children of God”. Replaced, displaced, whatever you want to call it, the Jews are no longer God’s chosen people, that privilege belongs solely to the NT church. Your comments regarding “church” appear misguided. The Greek word translated “church” in the NT is ekklēsia and one of its meanings is “the whole body of Christians scattered throughout the earth”. So, the word church isn’t restricted to meaning a physical structure where people gather. Paul thought so much of his Jewish heritage and its trappings that he counted it “dung” (Philippians 3:8). Jesus was so impressed with the Jews as a people that he called his own kinsmen children of the devil (Johh 8:44). Jesus also called Jews the synagogue of Satan (Revelation 2:9, 3:9). John the Baptist was so impressed with the Jews that he said God could just as readily turn stones in children of Abraham (Matthew 3:9, Luke 3:8). Christian Zionism is a fantasy, a doctrine of demons which has no NT support & must be propped up by scriptural gymnastics & incessant appeals to the OT. Final Note: With regard to your own argumentation on Gen 17:8, basic logic would dictate that if the land were an eternal possession then the Jews couldn’t be dispossessed of it. By definition, if something is eternal then you cannot be dislodged from it, it can never be taken away. Given your argument of a one way covenant and truthfulness and faithfulness of God, that would make God an abject failure by failing to ensure they were never dispossessed of the land. Further complicating your own reasoning is that if the land were to be an eternal possession of Abraham and his physical offspring, they, by reason of death, would be separated from possession of the land, thereby denying it being their eternal possession. This verse says we’ve come to mount Sion. Can you show it to me? It says “mount Sion”, so it can’t mean anything other than a mountain named Sion/Zion, but I don’t see a mountain anywhere, do you? These examples and many others show that “forever” is not always forever. Such is with the land promise. In most cases the Hebrew word “owlam” and the Greek word “aion” is mistranslated as “forever, eternal,everlasting etc..” These words are adjectives and as such can not be bigger than the thing it describes. Forever a slave can only mean for the entire life of the person. The dead person is no longer a slave. Getting this is very important to understanding the Bible. It was promised to their descendants, forever. End of story. If the land was promised to their descendants “forever”..
1. Then how could the Jews ever be dispossessed of it? 2. If something is “forever” how could it ever possibly be lost or outside of someone’s possession/occupancy for even a moment? 3. How can the land be the eternal possession of Abraham, Isaac, Jacob and their other descendants who have died, since their death means they would be deprived of possession of it? 4. If the land is theirs “forever” how is it that the Jews were driven off their everlasting possession? 5. The Bible says this earth will be destroyed by God (2 Peter 3:9-13). How then can the land belong to “their descendants” “forever” if this earth will not exist for eternity? Read the prophets. They tell the whole story. Jim to himself: “I’ve got an idea, I can’t point to a scripture to justify my argument much less explain one in context, so I’ll just make a broad, meaningless appeal, like ‘Read the prophets’ that sounds cool”. The earth will be recreated. Try reading the entire text. The eternal dwelling place of resurrected and translated saints will be the earth restored to be like Eden, perfect, without sin, the curse or its consequences. I am amazed at how little you have read of the actual Bible text. I see you couldn’t answer the questions again. 🙂 Then, to make yourself feel better, you fashioned a straw man. straw man – A straw man is a common form of argument and is an informal fallacy based on giving the impression of refuting an opponent’s argument, while actually refuting an argument that was not presented by that opponent. Another point you failed to see is that the destruction of the earth means that Israel, as a nation, will be NO MORE, thus undermining, along with the other questions I asked which you couldn’t answer, your theological fairy tale regarding the land of Israel somehow being an eternal possession. Not only will there be a new earth, Jimmy, but you seemed to have missed that there will also be a new heaven (2 Peter 3:13, Revelation 21:1). “I am amazed at how little you have read of the actual Bible text.” Oh, and the saints won’t just be “resurrected”, they will be glorified, made possessors of spiritual bodies as Christ himself. Then Jeremiah chapter 30 is null and void where God promised a renewed or new covenant? How can that be? If your covenant was prophesied under the old covenant, then the old covenant was abrogated, then were all of the messianic prophecies null? How then do we know that Jesus was the Messiah? How do we k ow that the New Testament is valid? You see how quickly your argument fell apart? No such thing as “renewed” covenant. The Old Covenant is OVER, finished. Last I checked the Messianic promises were not enmeshed with the Old Covenant. Tell the text that. Jeremiah prophesied of a renewed covenant. Renewed covenant, that’s funny. More sophistry from you, I see, Jimmy boy. The NT never speaks in terms of a “renewed” covenant. Its speaks of the old covenant being done, finished, over (Heb 8:13). When Jesus spoke of the new covenant in Luke 22:20 he used the Greek word kainos (“new”) which means “a new kind, unprecedented”, the Greek word forbids any notion of “renewed”. Further, the NT makes plain the covenants have nothing in common, nothing shared, no overlap (John 1:17, Galatians 2:21, Galatians 3:12, Romans 10:4-6). Actually, Paul connects the two covenants through the grace of God. Abraham was justified by faith, not works, just like the new covenant. The law was given as a schoolteacher to point out our sin that we might come to Christ. Let us know when you find the scripture that claims the New Covenant is the old “renewed”. Oh, and while you’re at it, get back to us with a scripture where Paul “connects the two covenants through the grace of God”. Mentioning two covenants doesn’t amount to “connecting” them. Let me help you on your journey by citing again a scripture already mentioned where Paul completely and utterly disconnects the two. The law (OT) and the NT (faith) are mutually exclusive. The law IS NOT of faith. The book of Ezra records the fulfillment of that prophesy. Irrelevant. The OT promise was without conditions. That makes it still valid. Besides, both David and Solomon understood that God’s promise that David’s sons would always reign on the throne of Israel was conditional on the king keeping the covenant, yet the promise will be revived in the person of Jesus after the Day of the Lord. The land promise made to Israel was fulfilled in the OT when Joshua & company took possession of the land (Joshua 21:43-45). The Jews possession/enjoyment of that land was conditioned upon obedience to the terms of the covenant as Joshua 23:15-16 and Deuteronomy 28:63-64 make abundantly clear. The Jews failed to honor their obligation under that covenant & God put an end to that covenant (Hebrews 8:9, “they continued not in my covenant, and I regarded them not”). The Jews were cutoff as God’s covenant people, something made plain by Hebrews 8:9, Matt 21:43 & Hosea 1:9. Therefore say I unto you, The kingdom of God shall be taken from you (Jews), and given to a nation (church) bringing forth the fruits thereof. Then said God, Call his name Loammi: for ye (Jews) are not my people, and I will not be your God. The promises were made under a covenant that is no longer in existence. No covenant, no outstanding promises. That’s funny. Where’s your NT citation for that? Jesus is currently seated on David’s throne (Acts 2:30-35, 1 Cor 15:25). Sorry, but you are incorrect. There is a later prophecy that says that God will one day bring them back into the land and they will not say that they were brought up from Egypt (Joshua), but that God had brought them back from the North country. Still haven’t found NT scripture to support your fairy tale, huh? That’s a common problem. One of my favorite things is to watch people claim something is incorrect, yet fail to disprove it with scripture that proves otherwise. Maybe you should write your own Bible. That prophesy was fulfilled when they returned to the land after the Babylonian captivity. I’m guessing its from the book of Jim that doesn’t exist. They have no covenant anymore (Heb 8:13) and thus no legal claim(s) to any promises. There is only one way to approach the father and obtain his blessings and that is through Christ. Tri reads the Bible in historical context. Tri understands all the imminent time references. Tri understands what “this generation” means. Read the Bible like you are a first century Christian, and then you will “get it”. Except Trilemma is not reading either in context, nor is he reading like a first century Christian. Right. That’s why they’re back in their ancient homeland after having been scattered for 2000 years. You have to be willfully blind to believe such a thing. Every promise God has made will be fulfilled. In the 1800s Christian’s were debating whether the jews would ever be restored to their homeland. Now that it’s happened we’re debating whether God still has a plan for them. It would behoove us to just believe the scriptures. why are the Jews in just a small portion of the promised land? God gave them much much more land than this. National Israel is a man made entity. I am amazed that anyone would think God would belittle the sacrifice of Jesus by allowing the temple sacrifices to return. Acts 3:23. Unbelieving Jews are condemned just like everyone else. Now there is only one way to the Father. Yet, the Bible prophesies that the antichrist will cause the sacrifices to cease in the middle of the Tribulation. God’s plan and His way of enacting it doesn’t always make sense to us. Especially when you don’t search the scriptures to understand the big picture of God’s plan. The prophesy of the Tribulation and the cessation of sacrifices was fulfilled by the Roman siege of Jerusalem just prior to the destruction of Jerusalem in 70AD. God didn’t give the land to a religion. He gave it to a family. Can Jews today trace their genealogy back to Jacob? Can you prove they aren’t descended from Abraham? 2. The Old Covenant, under which title to the land was predicated upon obedience (Hebrews 8:9, Deut. 28:63-64), was put to an end (Hebrews 8:13). The Jews are not back in the land because of God or some fulfillment of promise. They are back in that land because of the success of a political project known as Zionism, by which worldwide Jewry began work to take Palestine from the Palestinian people as early as 1897. So your God was beaten by a bunch of humans? Judaism follows the Talmud, which, among other things, says Jesus Christ is burning in hell in hot excrement. Their god is NOT my God. My God told them he was DONE with them (Hosea 1:9, Matt 21:43), thus He is not their God. Still waiting on an answer. If Israel is not part of God’s promise and plan, but was simply enacted by men, then how did they beat God’s sovereignty. Especially since God is omnipotent and omniscient. Its not God’s will that men die without being saved (2 Peter 3:9), yet men do. How is that? Your original question wasn’t answered because it should be obvious. You cannot be this thick. How can Jews be in the land & yet it not be in fulfillment of divine promise or in accordance with the will of God? The same way murder, theft, and all manner of criminality is not God’s will, yet it happens. Then explain why they are so prevalent in end time prophecy? Explain why a Sovereign God who is all powerful, who, by the prophecy given to Daniel, sets up and takes down kings would allow Israel to be reborn and fulfill prophecy if he has forsaken them. The end time prophecies were fulfilled in the first century with the destruction of Jerusalem in 70AD. Sorry, but that theory has been disproven repeatedly. For one, Jesus hasn’t returned, is not sitting on the throne of David on Jerusalem, and if Satan is bound, then I would hate to see a world where he is loosed. Preterism fails the test of scriptural fulfillment. Jesus is NOW sitting on the throne of David. He rules from the throne in heaven over a spiritual kingdom. For HE (Jesus) must REIGN, till he hath put all enemies under his feet. Jesus can’t rule from/in an earthly temple because, as Hebrews makes plain, he is not from the tribe of Levi. Jesus told the people back then that their generation would see the events of the last days and see the Son of Man coming in clouds with great power and glory. If Jesus did not return in the first century then he lied and was a false prophet. You need to research how the word generation was used in it’s different contexts. Generation can mean not just a generation but it can be used to mean something beyond that. It is used elsewhere to mean something on the lines of this general attitude will not cease until you see Jesus return. If Jesus returned, then where is your evidence? Who saw him return? The prophecy said that every eye would see him. There are no records anywhere – not on the early church writings, not in contemporary histories – not one single solitary record of anyone seeing Jesus return. Is he ruling on the Earth physically as the prophecy states? Absolutely not. Is Satan bound? Not as far as I can tell. Jesus was not talking about attitudes. He was talking about, then, future events. In this context, He was using generation to indicate a time frame for those events which was the lifetimes of those hearing Him. Jesus also told the high priest that he would see the Son of Man coming on the clouds of heaven. If the high priest didn’t see this happen, then Jesus lied. But he did not return on the clouds in AD 70. That destroys your interpretation. No one recorded anything that could remotely be interpreted as Jesus returning on the clouds, and Josephus records a number of events forshadowing the destruction of the temple, but no Jesus returning on the clouds. This interpretation is further complicated by the prophecy that every eye will see him when he returns. Also, one of the minor prophets said that the Jews would look upon him who they had pierced and ask about his wounds. You can’t ask that about a spiritualized visitation. The solution must be that Jesus was speaking figuratively to the high priest and Sanhedrin as representatives and leaders of a future event that their descendents would see, or he was speaking figuratively. I agree that Jesus was speaking figuratively. But he was speaking figuratively about events that would happen in the lifetime of the high priest. If these events, whatever form they were to take, did not happen in the first century, then Jesus lied. research the coming on the cloud references in the old testament and then you will understand what this means. It is up to you to research and learn, not just parrot a pastor. One wonders whether Dr. Michael Brown is more committed to Christ or the Jews & the nation of Israel. Therefore say I unto you [Jews], The kingdom of God shall be taken from you [Jews], and given to a nation [church] bringing forth the fruits thereof. Because of their rejection of the promised Messiah, the Jews were CUTOFF from covenant relationship with God. The Old Covenant was brought to an end (Hebrews 8:13) and, with it, the Jews’ standing as God’s chosen people (1 Thess 2:14-16, Romans 9:6, 8). These “divine promises” HAVE NOTHING to do with promises of the land of Israel to the Jews. The divine promises of which Paul speaks are the promises of the Messiah. The fact that these “divine promises” relate specifically to the Messiah is proven by Romans 15:8. Notice Jesus confirmed or was confirmation of the promises made to the fathers, he was confirmation of the promise of a Messiah. But, the Jews rejected Jesus as Messiah and were cutoff as God’s chosen people (Matt 21:43), killed Jesus (Matt 27:25, 1 Thess 2:15). Then said God, Call his name Loammi: for ye [Jews] are not my people, and I will not be your God. Hosea 1:9 also happened to be a favorite scripture of reformer Martin Luther to establish the Jews were not God’s chosen people. The Jews covenant with God, the Old Covenant, sometimes referred to as the law (see Hebrews 7:19), was put to an end (Hebrew 8:13). The ending of the Old Covenant meant the end of any promises (i.e. the land of Israel) under that covenant. God is not finished with Israel, he will bring certain judgment upon them for their theft of the land of Palestine via the Balfour Declaration and genocide of the Palestinian people. Christians that support Israel support land theft and genocide, pure and simple. Israel will soon prove to be another failed, Jewish messianic project with likes of Sabbatai Zevi, Simon Bar Kochba, Moses of Crete, etc. So you’re saying the Jews aren’t part of the world God gave his son for? Whoops, your whole worthless monologue reproved by a tiny sentence. Down goes Goliath! Having rejected the Messiah/Christ the Jews were cutoff from covenant relationship with God (Matt 21:43), something which you have clearly conflated with beyond the possibility of salvation. One of the aims of the article is to indicate some special relationship between God, the Jews, & the nation of Israel. The NT makes clear there is no such special relationship. The Jews are no more special than anyone else in God’s sight (Rom 3:23). Next time consider using “disproved” rather than “reproved’. O that’s why against all odds they’re back in their ancient homeland. Pure coincidence. Happens all the time right? You are spewing ignorant halfbaked nonsense. The Palestinians plight is no one’s fault but their own and I have a feeling deep down you know this. They’re not back in Israel because its the will of God or even because of alleged persecution. The Jews are back in israel because of Zionism, a Jewish political project to take Palestine as a home for the Jews, which was launched back in 1897 at the First Zionist Congress in Basel. This is well known even in Jewish circles. There is an article on a Jewish website called Haaretz that establishes this. Search Google for “Haaretz 1897: The First Zionist Council Convenes” and you’ll see the article from that website near the top. The Jews were further aided in accomplishing this objective by the Balfour Declaration by which England, which was not even in possession of Palestine at the time, promised Palestine as a homeland for the Jews. Put another way, England promised land to the Jews that didn’t even belong to them. Council never affirming the legitimacy of Israel as a state in 1947. From that time to this it has been ongoing theft of Palestinian land and genocide of the Palestinians, making Christians who support that, albeit ignorantly, enemies of God. Anyone who researches what’s called the Greater Israel project, also referred to as the Oded Yinon plan, will find out the truth about these matters and what the game is. So the Sovereign God who created the universe and who, according to Daniel, the prophet, raises up kingdoms and leaders and puts down kingdoms and leaders just ignored Israel being reformed as was prophesied by the Jewish prophets? The promises of the Old Testament are fulfilled in Christ. The Church is the fulfillment of the People of God. God isn’t finished with the Jewish people – they are to be fulfilled in Christ. They are to be part of the Kingdom of God, the Church. There isn’t a future with Christ ruling from an earthly Jerusalem. He rules now.(Rev.1:5). He will put all His enemies under His feet. Israel is to evangelized, fulfilled in Christ now: not some future event. Acts 3:23 It is a serious affront to Jesus for anyone to think that God will allow the Jews to rebuild the temple and re-institute the sacrifices. I would not want to be anywhere near the temple reconstruction site if it is attempted. It was attempted in 363 AD and it did not turn out so well. Look it up. This side of the cross, when a Jewish person receives Jesus as Messiah, they become part of the Church. I don’t have a problem with this point of view, but too often, and maybe or maybe not in your case it has become an INFALLIBLE DOGMA. If I am not already anathema and a heretic, I would simply make a few basic and fundamental points. If God desires to bless the Jews, the first barrier is there is no salvation apart from Christ Jesus. Catholics give some wiggle room where there can be baptisms of blood or desire or other extraordinary graces. Most Protestants say if you don’t accept Christ and die, you are ETERNALLY damned to hell. Does this apply to Jews or not? Second, God has written laws. So why does Israel have a fraudulent fiat (dishonest weights and measures) fiat currency so a shekel is NOT a fixed amount of silver (or gold)? Why do they have de-facto government paid Abortion on demand (you have to ask a board nicely but they don’t say no). Why is Tel Aviv the most Gay Friendly city, and why did Caitlyn Jenner receive an award? Even Muslims – yes, Sharia Islam – OBEY the 10 commandments better than citizens of Israel. Do they get a pass (please cite), or are they doubly condemned because they can’t be ignorant? (I will add that Paul also said Christians of ALL RACES are the seed of Abraham and would note that Israel is an apartheid racist ethnostate – they will accept a secular atheist socialist with a Jewish grandparent, but put barriers against the admission of anyone who isn’t ethnically enabled). But to fully accept “Israel is Blinded” – why do you prefer they continue to fall into the ditch instead of leading them to the light of Christ? To obey the commandments instead of secularism? Even if they can’t see Christ directly, to see the reason and evidence of the Christian (judaeo-Christian) tradition?